Lauren Carey, RDN, is the founder of LBS Nutrition LLC. She attended Syracuse University, Syracuse NY, where she graduated with a BS in Nutrition Science. She then completed her dietetic internship at the College of St. Elizabeth in Morristown, NJ and shortly afterwards became a Registered Dietitian/Nutritionist. Lauren has worked in hospitals, doctors’ offices, and currently has been in her own nutrition practice in Central New Jersey for the past eight years. 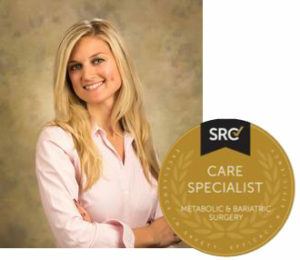 She is certified in Adult Weight Management and has extensive experience working with both adult and adolescent bariatric patients, having worked in surgeon’s offices, started up the nutrition component at a bariatric surgery facility in Central New Jersey, and is currently working side by side with a premier bariatric program. For the past six years Lauren has co-facilitated both adult and adolescent bariatric support groups on a monthly basis. She is an active member and part of the Integrated Health support group committee of the American Society of Metabolic & Bariatric Surgery and presents each year at Obesity Week. Additionally, Lauren has been featured on Sirius Radio, “The Doctor Show”, as well as on WOBM Preferred Radio Talk Show. Her awards include “Talk of the Town” for 2013-2018 and she has been given the Blue Physician Recognition designation through Horizon Blue Cross/Blue Shield of New Jersey. To further assist her patients, Lauren has co-created a line of protein shakes and vitamins to offer her clients. She truly practices what she preaches and is extremely passionate about her work. Sari Greaves, RDN is a Registered Dietitian Nutritionist for LBS Nutrition, LLC in East Brunswick, New Jersey. She trained at New York Presbyterian Hospital Cornell and is a past national spokesperson for the Academy of Nutrition & Dietetics. Sari has over a decade of experience providing personalized nutrition and weight loss counseling. As a leading nutrition expert in weight management, family wellness, and cardiovascular disease, she has been a repeat guest on The Dr. Oz Show, Doctor Radio on Sirius Satellite, and interviewed on dozens of news network programs. 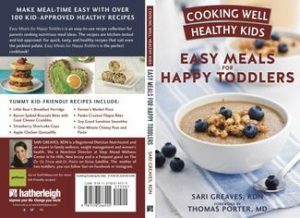 She is the author of Cooking Well Healthy Kids: Easy Meals for Happy Toddlers, and contributing author to Obesity Prevention for Children and the Cardiac Recovery Cookbook. As a food and health entrepreneur, she is the creator of inVok-energy for women, a nationally branded energy drink. Sari has been quoted in a variety of print and internet publications including the Wall Street Journal, Washington Post, CNN, Daily News, New York Post, Newsday, MSN News, Self, Shape, Women’s Health, Prevention, Fitness, Consumer Reports on Health, among many others. She has been a keynote nutrition speaker at various corporations including Estee Lauder, Wilmer Cutler Pickering & Hale, Clifford Chance, Societe General Bank, International Federation of Accountants and the Council on Foreign Relations. Her nutrition and cooking video series have appeared on HealthGuru.com, aol.com and foxnews.com. Using diet as a means to living a healthy, balanced lifestyle, Sari practices what she preaches while balancing her roles as a mother, dietitian, author, and media personality. Follow Sari on Instagram, Twitter and Facebook at #AskSari, or email her at sarilbsnutrition@gmail.com. 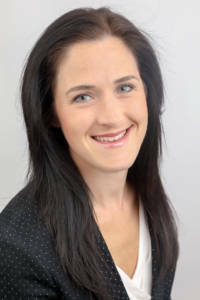 Lauren Rooney, RDN is a Registered Dietitian for LBS Nutrition, LLC in East Brunswick, New Jersey. She received her undergraduate degree in Nutritional Sciences from Cook College, Rutgers University and completed her dietetic internship at The College of Saint Elizabeth in Morristown, New Jersey. Lauren is dedicated to helping individuals and families explore their relationship with food and develop mindful eating practices. She educates on the importance of balanced nutrition and the benefits of incorporating all foods in moderation. She has provided nutrition support to individuals with Autism, brain injuries, Developmental Disabilities, and Prader-Willi Syndrome. 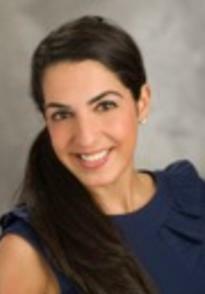 She specializes in weight management and treatment for women with eating disorders.